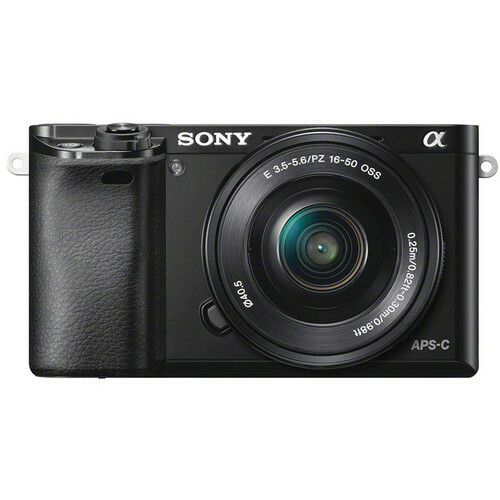 The black Sony Alpha a6000 Mirrorless Digital Camera is a versatile and advanced mirrorless camera featuring a 24.3MP APS-C-sized Exmor APS HD CMOS sensor and BIONZ X image processor to produce high-resolution still images and Full HD movies with marked low-light quality and sensitivity to ISO 25600. Beyond notable imaging traits, the image processor also lends itself to continuous shooting up to 11 fps and an intelligent Fast Hybrid AF system that uses both phase- and contrast-detection methods to quickly and accurately acquire focus. For live view monitoring, image playback, and menu navigation, both a large rear monitor and detailed electronic viewfinder are available. The 3.0″ 921k-dot Xtra Fine LCD screen features a tilting design to facilitate easier use from both high and low angles and also incorporates WhiteMagic technology for easier viewing in bright conditions. The 0.39″ 1,440k-dot Tru-Finder OLED EVF offers 100% frame coverage and a refined optical design to provide a natural viewing perspective and magnification. 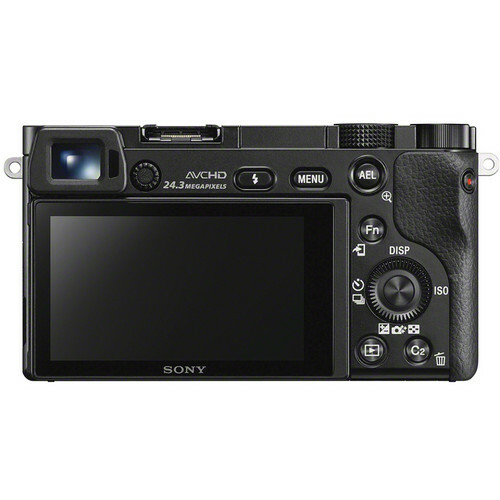 The body design of the a6000 also houses a configurable user interface, built around several customizable buttons and two control dials, for efficient and intuitive access to frequently used camera settings. Additionally, a Multi Interface shoe is available for attaching external flashes, continuous lights, or microphones. 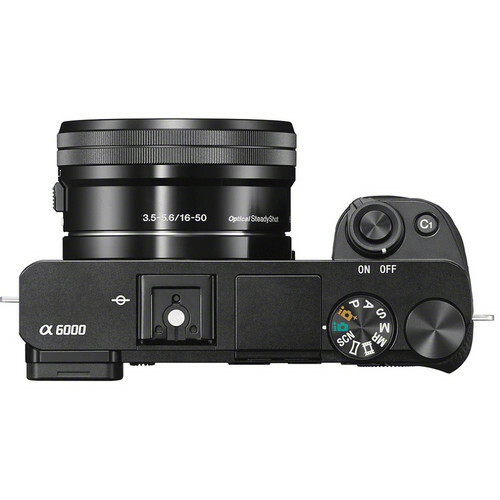 Built-in Wi-Fi connectivity, with support for NFC-enabled devices, is also integrated into the a6000 to support remote camera control and image sharing to linked mobile devices. In addition to these base features, with firmware version 2.0 users will have access to the XAVC S format for Full HD 1080p video at 24, 30, and 60 fps. This format will dramatically improve video quality by allowing the camera to capture images at a high bit rate of 50 Mbps, which holds more information than AVCHD for fewer artifacts. Along with this, users will be required to use Class 10 or faster SDXC memory cards with a capacity of 64GB or greater. Included with the camera body is a retractable E PZ 16-50mm f/3.5-5.6 OSS Lens, which provides a 35mm-equivalent focal length range of 24-75mm. This range of perspectives is well-suited to everyday shooting and is further enhanced through the inclusion of Optical SteadyShot image stabilization for minimizing the appearance of camera shake. Power Zoom technology allows for electronic control over the zoom position and the inclusion of one extra-low dispersion element and four aspherical elements helps to reduce chromatic aberrations throughout the zoom range as well as contribute to high overall sharpness. Also, this kit includes the E 55-210mm f/4.5-6.3 OSS Lens, which covers an 82.5-315mm equivalent focal length range. This lens, too, offers Optical SteadyShot image stabilization and features two extra-low dispersion elements and one aspherical element in its design to control aberrations and distortions. The 24.3MP APS-C-sized Exmor APS HD CMOS sensor and BIONZ X image processor work together to produce high resolution, well-detailed imagery with minimal noise and notable low-light quality and sensitivity to ISO 25600. The sensor utilizes a gapless on-chip lens design, which fills the gaps between neighboring pixels with optimized lenses that match the angle of incidence to increase light gathering ability and produce edge-to-edge sharpness and quality. The processor also contributes to providing a wealth of speed throughout the camera system, including Fast Hybrid AF, a top continuous shooting rate of 11 fps, and Full HD 1080i/p video recording in multiple frame rates. The Fast Hybrid AF system utilizes both a 179-point phase-detection system and 25-point contrast-detection system to achieve precise focus in as little as 0.06 sec. Utilizing a Spatial Object Detection algorithm, this fast focusing system first employs the phase-detection AF points to quickly bring the subject into focus and then uses the contrast-detection AF points, with wide AF coverage, to fine-tune the sharpness for ensured accuracy. Beyond supporting single shot modes, this system also provides AF tracking when shooting up to 11 fps in continuous high mode and functions seamlessly when recording full HD movies. For further refinement, a series of distinct AF modes can be selected from depending on the subject. Eye AF is a detail-oriented focusing function that can prioritize a subject’s pupil and dedicate focusing performance on that for sharply-rendered portraits; Lock-on AF is a dedicated focusing method for use with moving subjects and adjusts the target frame size as the subject moves throughout the image frame; AF area settings allow you to prioritize specific regions within the frame for increased accuracy; and AF-A (Automatic AF), AF-S (Single-shot AF), AF-C (Continuous AF), DMF (Direct Manual Focus), and Manual Focus modes can also be chosen. Full HD 1080p video recording is supported at 60, 30, and 24 fps in the high-quality 50 Mbps XAVC S codec. 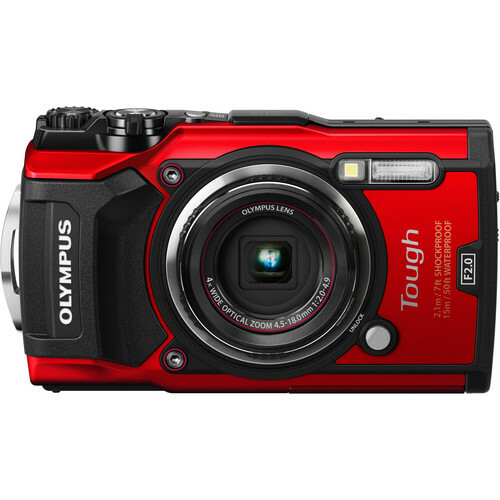 Other recording options include the ability to utilize the AVCHD and MP4 codecs, with support for recording up to 1080p60 video at 28 Mbps. Dual video recording is supported, as well, with the ability to select either XAVC S or AVCHD codecs plus a duplicate MP4 file to be recorded at the same time for greater efficiency when sharing videos online. Additionally, using the integrated HDMI type D output, both 1080i60 and 1080p60 uncompressed 8-bit 4:2:2 video can be recorded to an optional external recorder. 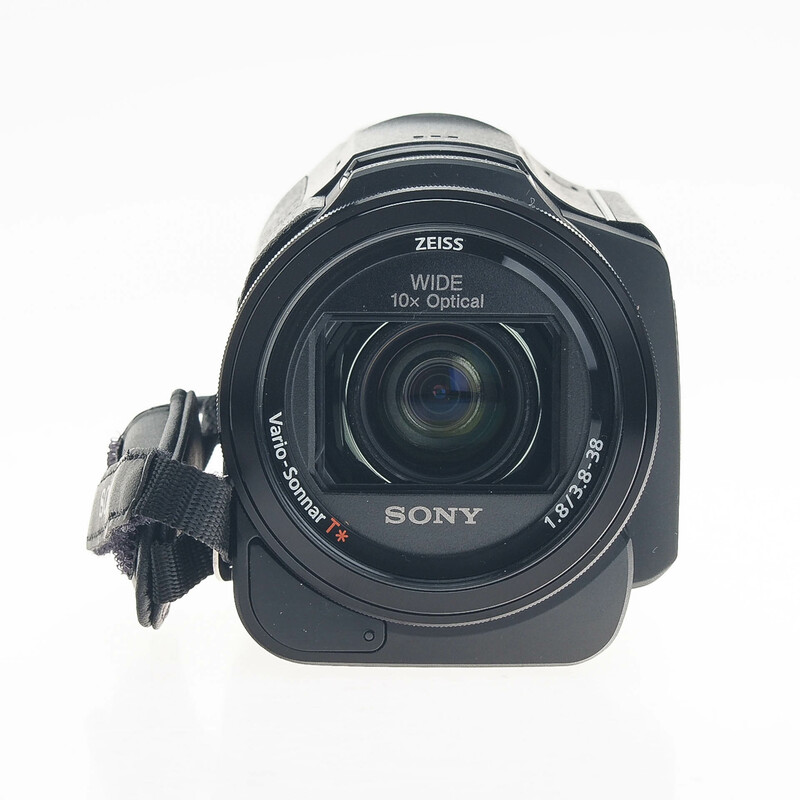 Complementing the video capabilities of the a6000, a built-in stereo microphone is incorporated into the design and records audio in the Linear PCM 2-channel format for XAVC S movies, the AC-3 Dolby Digital format for AVCHD movies, and the MPEG-4 AAC-LC format for web-quality MP4 videos. Manual focus peaking and a zebra function are also available, to benefit working in manual focus and to assure highlight detail is retained, respectively. A marker setting can be shown on the rear LCD as well, in order to display a center marker, guide frame, aspect marker, safety zone, and other pertinent features for video recording. 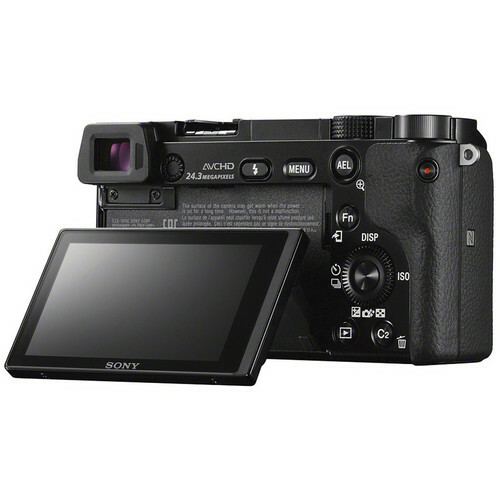 Revolving around a compact and lightweight profile, the a6000 incorporates both an electronic viewfinder and a large rear LCD monitor. 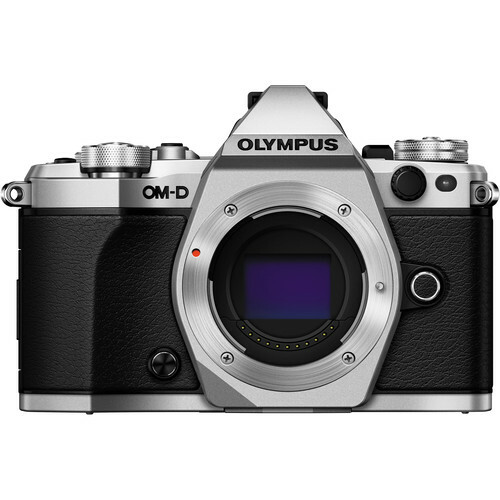 The Tru-Finder 0.39″ 1,440k-dot OLED EVF features a refined optical system that integrates four double-sided aspherical elements to provide 100% frame coverage and a wide 33° viewing angle for clear edge-to-edge viewing. The electronic viewfinder’s design offers a true live view image, which is able to simulate the appearance of the finalized image prior to shooting and also avails focusing aids, such as MF Assist and the Peaking function. The 3.0″ 921k-dot rear Xtra Fine monitor is a larger alternative, suitable for making accurate compositions, reviewing imagery, and navigating the menu system. It features a tilting design that can tilt upward approximately 90° or downward 45° to benefit working from high and low angles. Additionally, WhiteMagic technology works to increase the overall brightness of the screen to better support use in bright or sunlit conditions. 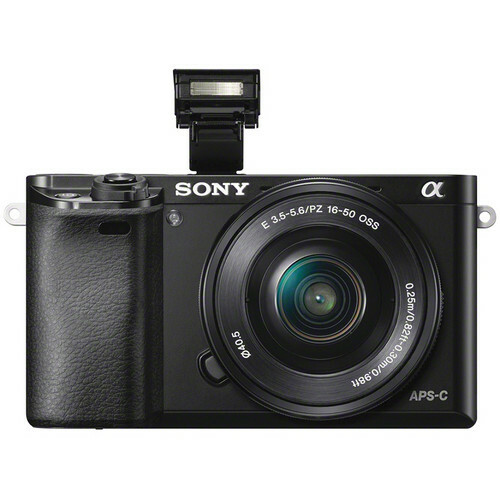 Complementing the overall handling of the a6000 is a customizable user interface that includes an Fn function button and seven other buttons that can be adjusted depending upon user preferences and assigned to one of 47 different functions. Furthermore, two top dials offer an intuitive means for selecting crucial camera settings in a deft manner. A built-in pop-up flash, featuring a guide number of 19.7′ at ISO 100, is available for working in difficult lighting conditions and a Multi Interface Shoe is also available for attaching additional on-camera accessories, such as flashes, video lights, and microphones. 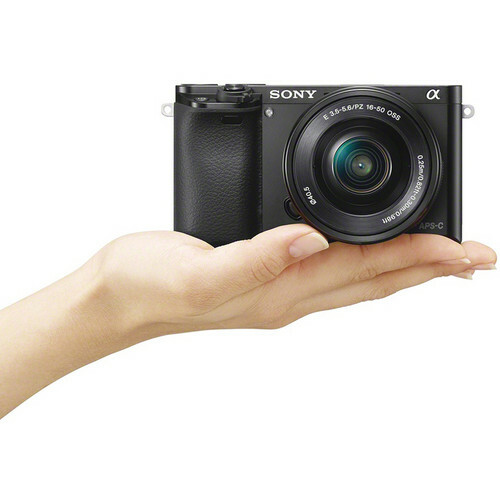 Built-in Wi-Fi connectivity enables the a6000 to instantly share imagery to mobile devices for direct sharing online to social networking, via email, and to cloud storage sites. NFC (Near Field Communication) is also supported, which allows for one-touch connection between the camera and compatible mobile devices; no complex set-up is required. Once connected, the linked mobile device can also display a live view image on its screen and remotely control the camera’s shutter. 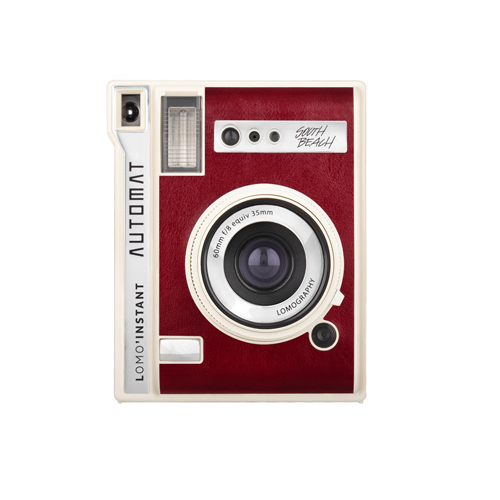 Additionally, PlayMemories Camera Apps are also supported via the built-in Wi-Fi connection, and allow you to personalize the camera’s features depending on specific shooting styles. Apps are available to suit creating portraits, detailed close-ups, sports, time lapse, motion shot, and other specific types of imagery. The included retractable E PZ 16-50mm f/3.5-5.6 OSS Lens provides a 35mm-equivalent focal length range of 24-75mm, covering wide-angle to portrait-length perspectives to suit working in a wide variety of situations. It features Optical SteadyShot image stabilization to help minimize the appearance of camera shake by up to four shutter speed steps to greatly benefit working in low-light conditions and with greater zoom magnifications. One extra-low dispersion element and four aspherical elements are integrated into the optical construction to help reduce chromatic aberrations as well as increase clarity, sharpness, and contrast and the Power Zoom electronically-driven zoom mechanism brings greater efficiency to controlling the zoom position of the lens. The black E 55-210mm f/4.5-6.3 OSS Lens from Sony features extra-low dispersion glass, a broad zoom range and aluminum alloy construction. On an APS-C camera, this zoom lens has an 82.5-315mm focal length range, suitable for event photography and portraiture alike. Internal focusing and linear motor-driven AF system help create responsive yet quiet focus while minimizing mechanical noise. Additionally, a separate manual focusing ring capable of Direct Manual Focus allows seamless transitions from AF to manual focusing. The Sony E-mount affords compatibility with an extensive number of lenses and lens adapters. An advanced 1200-zone evaluative exposure metering sensor delivers consistent and accurate results using multi-segment, center-weighted, or spot metering modes. Auto Object Framing is an intelligent shooting mode that can automatically analyze the scene and subjects within it and determine an aesthetically-pleasing composition. The subsequent imagery will be cropped according to subject matter, resulting in a well-balanced composition that utilizes Face Detection and Tracking Focus to ensure high image quality and sharpness. Clear Image Zoom can be used to magnify the center of scenes by 2x to effectively extend the reach of any focal length lens. This digital zoom technology uses an intelligent interpolation process to minimize the amount of image degradation in order to produce realistic, high-quality images. Picture Effect modes allow you to apply creative settings and emphasize certain facets of individual images for a richer, more aesthetic picture quality. Posterization (Color/B&W), Pop Color, Retro Photo, Partial Color (R/G/B/Y), High Contrast Monochrome, Toy Camera, Soft High-Key, Soft Focus, HDR Painting, Rich-Tone Monochrome, Miniature, Watercolor, and Illustration modes are available. The Photo Creativity feature provides quick access to Picture Effects as well as dedicated controls for adjusting Background Defocus, Brightness, Color, and Vividness. Additionally, these effects can be combined for nearly limitless adjustment options. Superior Auto mode is an intelligent automated setting that can quickly identify the current shooting environment and adjust crucial camera settings to deliver optimized results. This mode also utilizes Auto HDR and Hand-held Twilight modes, which employ image compositing techniques to better handle difficult lighting conditions. Anti-Motion Blur automatically corrects for subject movement in order to deliver clean, sharp imagery in low-light conditions. This is accomplished by recording six sequential frames and compositing portions of each image to ensure overall sharpness. Hand-held Twilight Mode automatically composites details from six sequentially-recorded images in order to attain higher overall image sharpness when working in low-light conditions. Multi Frame NR records consecutive images at a reduced ISO sensitivity and then composites them into a single image to realize higher effective sensitivity with minimal image noise. Dynamic Range Optimizer (DRO) works to improve images featuring backlit subjects or scenes with high contrast where details can be lost in the shadows or highlights. This mode can be controlled automatically or fine-tuned using five settings. Auto HDR automatically records three sequential frames of an image and composites them into a single frame to realize greater shadow and highlight detail with an extended range of mid-tones. Creative Style settings provide control over how the camera processes images based on six different predetermined styles: Standard, Vivid, Portrait, Landscape, Sunset, and B&W. Within these settings, contrast, saturation, and sharpness can also be adjusted depending on personal preference. In-camera creation of 4K slide shows is possible for rich playback to ultra high definition televisions. An HDMI port is incorporated into the camera’s design, too, to enable direct connection to HDTVs. TRILUMINOS Color support is afforded by the a6000 to produce rich, natural colors when imagery is viewed on a TRILUMINOS Display. Convenient USB charging allows you to charge the included lithium-ion battery in-camera via USB connection from either an AC outlet or PC source. The a6000 is a super-compact mirrorless camera that's about half the size and weight of a typical DSLR, yet it has the same size APS-C sensor as most DSLRs. 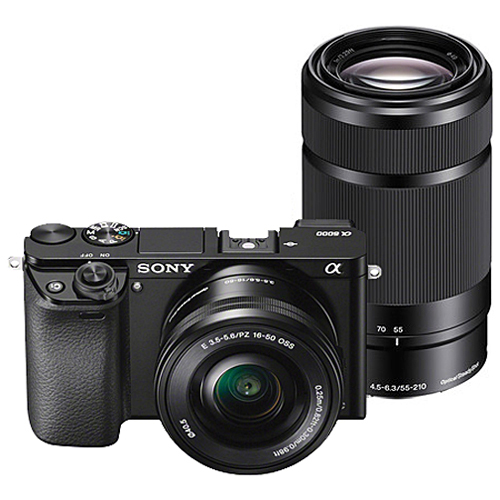 The interchangeable lenses and E-mount system make the a6000 more versatile than almost any other camera on the market.